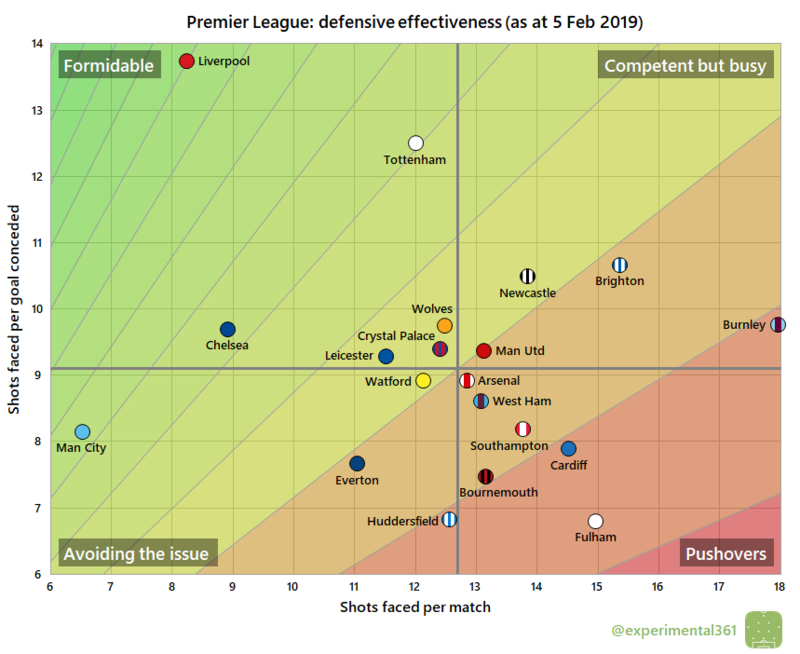 Despite having sprung a few leaks lately, Liverpool‘s defence still looks excellent overall. 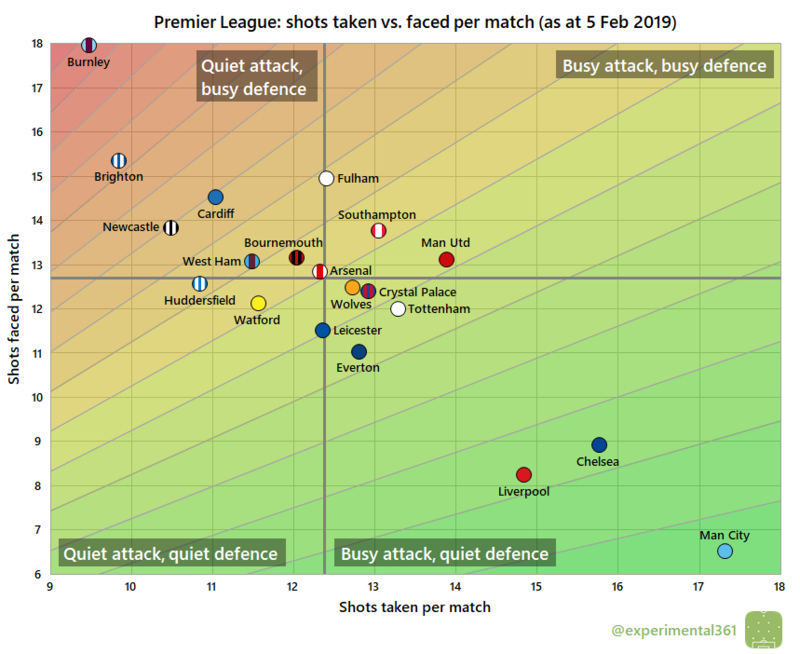 If the last chart wasn’t bad enough for Huddersfield, they’re also leakier at the back than anyone except Fulham despite allowing their opponents a relatively respectable number of opportunities (fewer than Arsenal or Man Utd for example). 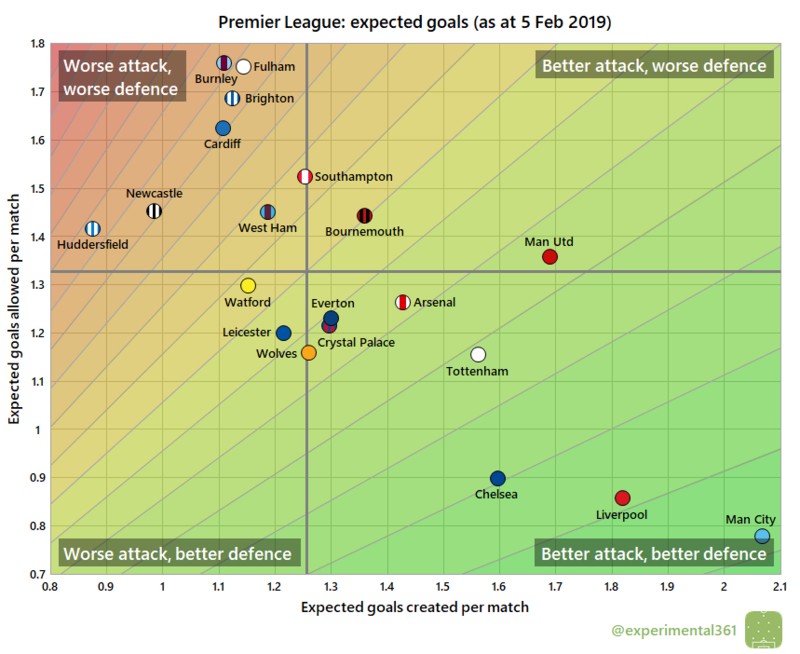 When we adjust for shot quality (at least as accurately as I can measure it), Liverpool are a lot closer to Man City overall, having narrowed the gap and pulled away from Chelsea since I last ran these before Christmas. 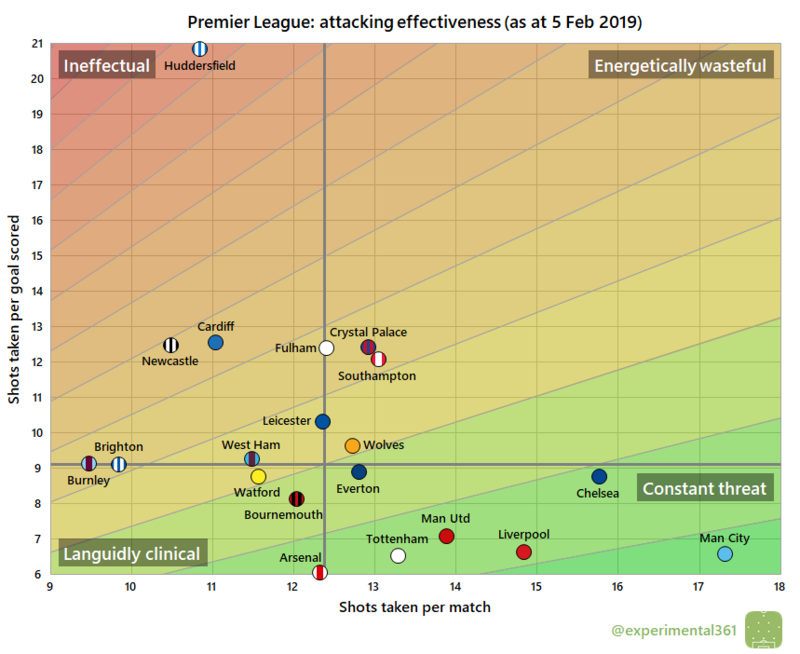 Man Utd‘s problems seem to have had more to do with their defence than their attack, but overall they look stronger than they did before.